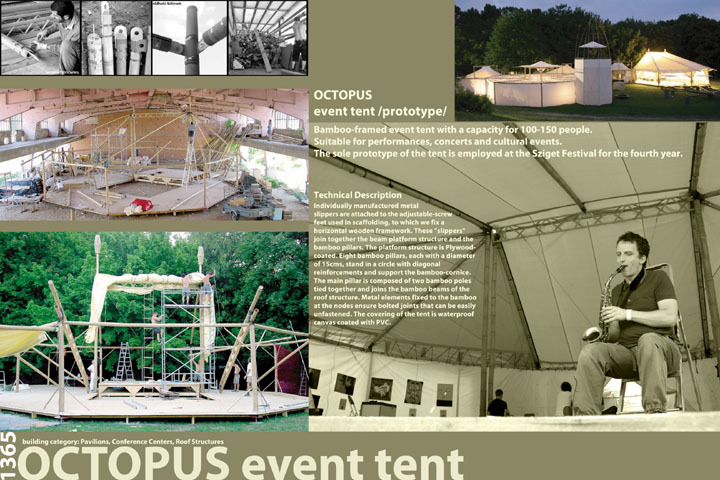 Commissioned for the Sziget Festival, the largest annual cultural event in Central Europe, the Octopus Tent is used yearly to host events for 100-150 people at a time. Individually manufactured metal slippers join together the platform and the bamboo pillars. 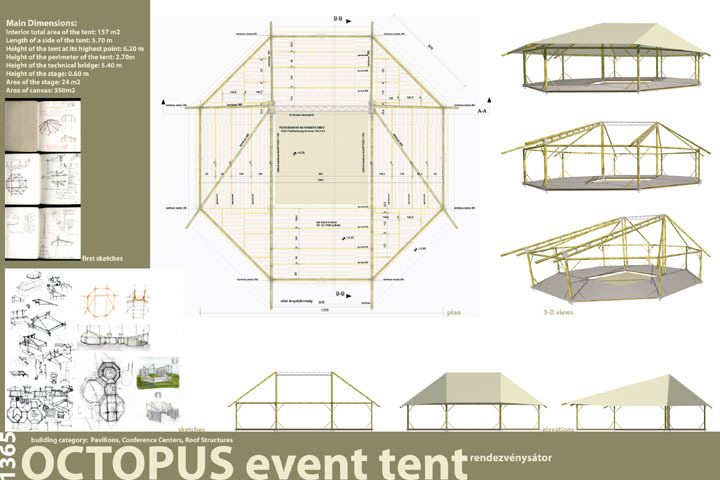 Waterproof canvas coated with PVC is used as a covering for the tent.